I discovered this absolute Gem in London last weekend when I ended up here by accident. I had the most amazing time. 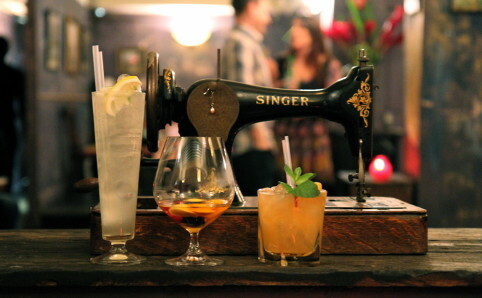 The place is a perfect mix of club and cocktail bar hidden in the basement of a backstreet in Fitzrovia. The bar looks utterly charming and stylish, inspired by New York in the glamourous 1920’s. It has a dance floor and various spots to sit. I LOVED the ‘cave niches’ a la David Lynch with red velvet curtains where you can easily sit with about 8 people. Open until late!